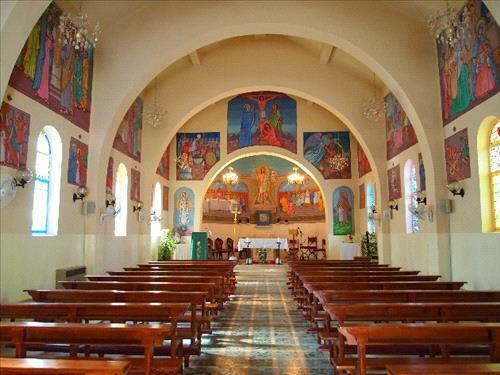 AMMONNEWS - Scores of Jordanians on Thursday tried to break into a church in the northern Ajloun province in protest against the reported killing of a local girl by her Christian father on the background of her recent conversion to Islam, a Jordanian security source said. "Some residents of Al-Wahadinah village besieged and tried to storm into the church, a short time after some youth attempted to burn it down before security forces intervened," the security source told Anadolu Agency on condition of anonymity. He added that the woman was killed by her father on Wednesday a short time after she converted to Islam when she attended a lecture by prominent Saudi preacher Mohamed al-Arefe at the Jordanian University in the capital Amman. "He hit her with a stone on the head," the security source said of the woman. "She died immediately," he added. The protesters, who gathered outside an administrative province building before they headed to the church on Thursday, called for burying the slain woman in a cemetery designated for Muslims. Jordanian authorities have not commented on the accident yet. Christians make up 2.2 percent of Jordan's eight million population, according to a 2014 census. Christians make up 2.2 percent of Jordans eight million population, so that makes it 2.1? at one time long long time ago used to be all Christians, at this rate another 10 years you will find them only in graves and museums, lets not forget the Kings mother was one. It is indeed such an irresponsible decision on behalf of the University of Jordan and the concerned Jordanian authorities to allow the dangerous extremist Mohamed al-Arefe to enter Jordan, manipulate the youth and create Christian-Muslim animosity at a time the leadership and number of civil society institutions are engaged in further consolidating domestic Christian-Muslim Harmony especially in anticipation for the visit of His Holiness.